OASIS users not only enjoy access to the broadest title database in the industry but also benefit from powerful search tools that help locate titles quickly and efficiently. Via OASIS users have access to a range of top ebook platforms in the market – aggregator platforms such as Ebook Central®, R2 Digital Library and EBSCO®* and a growing list of publisher platforms that includes UPSO, Wiley Online Library, Info-Sci, Taylor & Francis, World Scientific, De Gruyter, and Karger. Print book distribution centers in US and UK and a print partnership with INGRAM ensure efficient print order fulfillment. 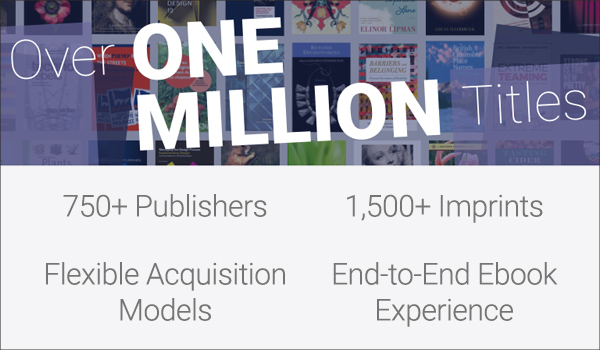 Access to the broadest print and ebook title database in the industry, with powerful search tools that make OASIS easy to search. OASIS supports multiple ordering and selection workflows for both print and ebooks, including approval plans, firm orders, standing orders, demand driven acquisition, EDI ordering and MARC ordering. OASIS fits seamlessly into workflows through customizable fields for local data, free MARC downloads and convenient collection management tools like duplication control. Functionality in OASIS is supported by metadata from one of the most comprehensive bibliographic and cataloging knowledge bases in the industry. Experience faster insertion of order data into Alma, streamlined book workflows, improved staff productivity and ensured data accuracy. The Alma-OASIS Ordering API is provided to libraries at no additional cost.